It is important to make sure the scene is safe, and that there is no danger threatening you or the person you are trying to help. 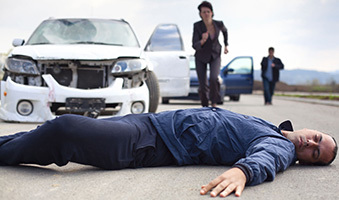 Even after you begin providing first aid, you must remain aware of your surroundings, and alert to anything on the scene that might change and put you in danger. While assessing the scene, ask yourself these questions. Is there danger for myself or the person I am trying to help? 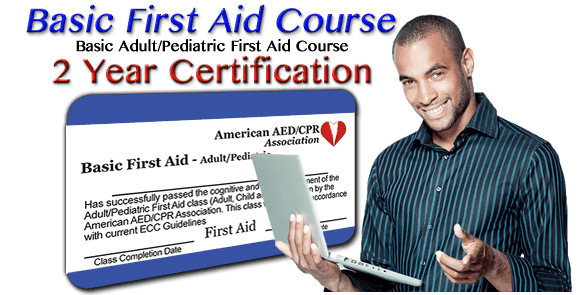 ● You should only move an injured person if they are in danger, or if you need to in order to safely provide first aid or CPR. Are there others around to help? ● If there are, you can have someone else call 9-1-1. If not, you will have to do it yourself. Who is ill or injured? ● Can you tell how many people are hurt, and what happened? ● You’ll need to tell the 9-1-1 dispatcher how to reach your location. If there are any bystanders nearby who can help, you can send one of them to meet the emergency responders and lead them to the scene. As you assess the need for first aid, you’ll need to know when and how to phone for help. Calling 9-1-1 activates the EMS network of responders. Make sure that you also know where the nearest phone is. First aid kits and AEDs are often stored near emergency phones. Your company may have guidelines on when you should call 9-1-1 emergency services. As a general rule, you should call 9-1-1 when someone is seriously injured, or if you don’t know what to do in an emergency. You will learn more about how to recognize and respond to these emergencies later on. It’s important to know how to call for help from your location. In most instances, we would say to call 9-1-1, but it might not be that simple. For instance, in your workplace, you may have to dial 9 first for an outside line. Your workplace may also have a different emergency response number to call to reach on-site responders. Make sure to have that number memorized. ● If no one answers and the person needs immediate help, and you have a cell phone, call 9-1-1 and put the phone on speaker, so that you can listen to the dispatch officer’s instructions while providing care. ● Stay with the person and be prepared to give first aid or CPR. ● Send someone to call 9-1-1 and get the first aid kit and AED if available. ● Have them put the phone in speaker mode so that you may receive further instruction from the dispatcher. While on the phone with the dispatcher, do not hang up until they tell you to. Answer their questions. The emergency responders will be able to help sooner and more easily if they know where you are and what the situation is.